You are here: Home / News / News / Welcome to our new Icicles website! 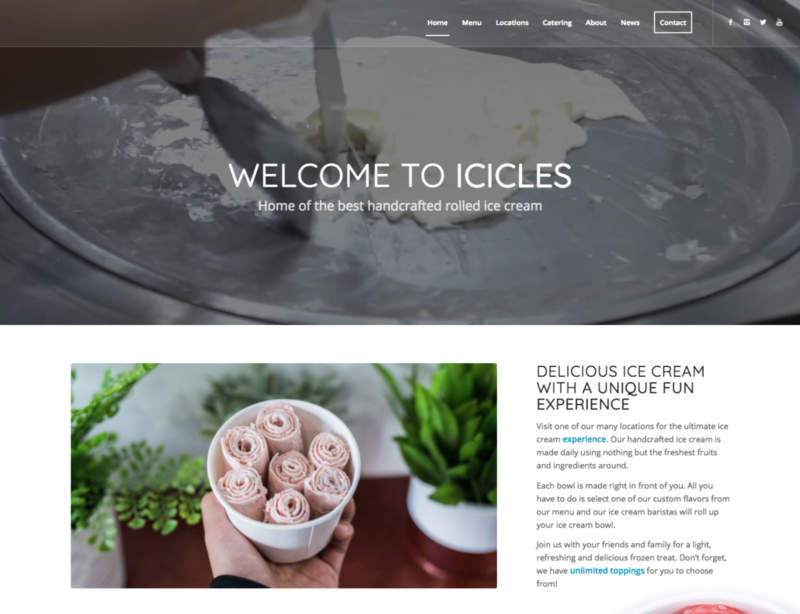 Welcome to our new Icicles website! Hey everyone! Welcome to our fresh new website that we just launched. Here you can find a all of the details and information about our store, ice cream, and more. Check back for more promos, contests, and more. Thanks for stopping by! http://iciclescreamroll.com/wp-content/uploads/2018/01/Screen-Shot-2018-01-16-at-9.55.01-PM.png 1126 1468 icicles http://iciclescreamroll.com/wp-content/uploads/2018/01/Icicles-Logo-300x137.png icicles2018-01-17 05:51:082018-01-31 01:35:55Welcome to our new Icicles website!